1) Is the company licensed? Insured? And GAF (industry) certified? 2) Can you meet and talk to the company’s owner, and will he be on site for your roofing job? 3) Do they offer a no-leak guarantee? 4) Do they provide free commercial and residential inspections? 5) Are they #1 Customer Rated in Downriver, Michigan? If the roofing contractor you call cannot answer “yes” to every one of these questions, they are not good enough to perform work at your house or business. Downriver Roofers can answer “yes” to all of these questions, leaving you worry free. Now that the temperatures in MI are at freezing level or below, it is extremely dangerous for you to climb a ladder to check your roof for missing or damaged shingles. If you don’t have the proper equipment and protective safety gear, you could expose yourself to frostbite or risk falling off your roof. Once you call Downriver Roofers, your worries will be over. 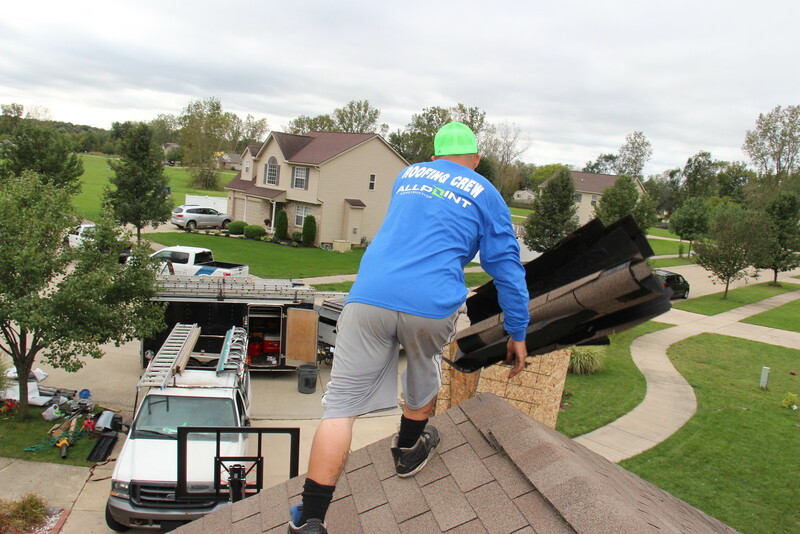 Our licensed, trained professionals will arrive at your home or company in Brownstown, Michigan with the appropriate ladders, materials, and heavy clothing necessary to perform a roofing inspection, roofing maintenance, protective roof coatings, or new roof installation. We will conduct a thorough interior and exterior inspection, and present you with the results. If it is determined you need a roof ice dam removal, roof snow shoveling, roof replacement, or repairs, we will develop a plan that will meet your budgetary and scheduling requirements. Leave all the planning to us, we assure you everything will be done according to your specifications and needs. We also offer assistance with city emergency loan applications and financing plans, all you have to do is ask. If you experience a roofing emergency due to inclement weather such as snow, hail, or wind, we can help. Our roofing experts are available 24/7, year round to respond to your call. We offer free roofing estimates, all you need to do is call us at 734-548-9919 to schedule your appointment. Check out our website at www.downriverroofers.com to learn more about our highly skilled technicians, our reputation, and services. “Like” our Facebook page and follow us on Twitter to keep up with the latest news at the Downriver Roofers family. Join us — we can’t wait to meet you! When your Michigan home is damaged or completely destroyed by a blizzard, a tornado, hailstorm, or gust of wind, you and your family are likely to feel distraught. After all, the roof protects all of your personal belongings and many of the home’s structural components. For example, interior walls and floors that are not load-bearing can sustain damage when the roof is open or leaking. Without a roof or with a damaged section of the roof, the home can also experience water and air quality damage. What’s more, bugs can more easily enter affected rooms and then migrate to other unaffected rooms. Some roofs are so damaged that the family must seek alternate lodging until the roof repair is complete. We are here to assist homeowners and business owners in need of quality roof replacement and repair. You can’t ignore hail/wind/storm damage or postpone making your insurance claim because you are leaving all of your home and property vulnerable to damage from future storms. Your home might have only one layer of existing shingles, and, therefore, you may decide to have another layer of shingles installed on top of it. This eliminates the cost of shingle removal before the project begins. However, roofers will not be analyzing the condition of the plywood beneath that first layer because it will remain intact. You might choose to have one or two layers of existing shingles removed from the entire house. In some colder climates, complete shingle removal enables roofers to install a rubber membrane first, which will prevent water leaks. You might have old wooden shingles below your current asphalt shingles that should be removed and replaced with new plywood before the asphalt shingles are installed. One way to see this is to look in your attic at the ceiling. Are there wooden shingles visible when you look up? When you are trying to find a roofing contractor, remember there are many fly-by-night companies that aren’t concerned with providing good service to homeowners. They know you won’t be needing their services for a long time, and they may disappear from your state when you need a repair or a total roof replacement that should be covered under warranty. Do careful research and determine if roofing contractors are certified to install a particular brand of shingle by a manufacturer. See how long they have been licensed in Michigan and if they have performed work in your community. Pay more for 50-year asphalt shingles because they have the greatest guarantee from the manufacturer and only increase the total cost by a few hundred bucks. Shop around for different types of shingles and then inform the contractor which ones you like the best and why. Compare different roofing contractors and see what kind of warranty they offer. They may offer a limited warranty on their labor, whereas the shingles manufacturer may offer a warranty on their product. We want property owners to be satisfied with their new or repaired roof. After all, it’s you and your loved ones who must continue living in the home or start to prepare it for the real estate market. We provide free estimates to Michigan property owners and are glad to meet your assigned insurance adjuster on site. It’s our job to diligently prepare all paperwork to support your roofing claim.